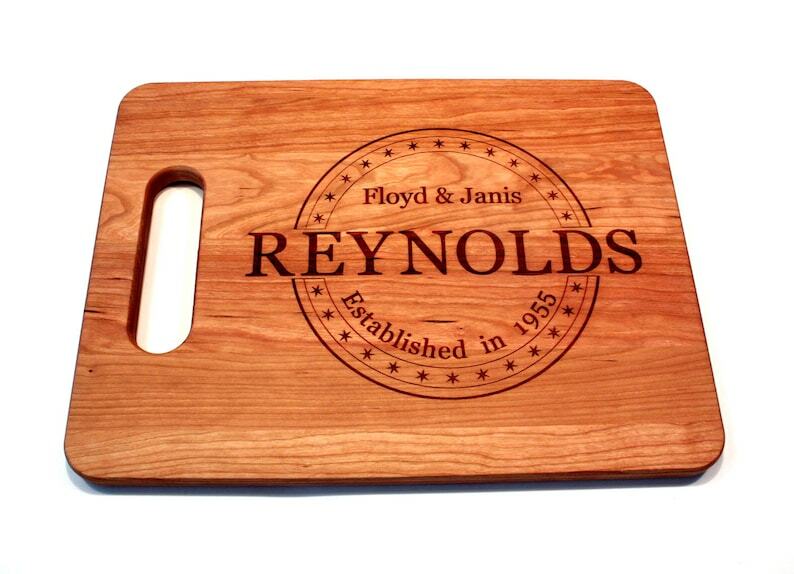 Our cutting boards make a great Personalized Wedding Gift , Anniversary Gift, Hostess Gift or just about any other gift giving occasion. This personalized gift engraved handled cutting board is highlighted by a circular field of stars with your families last name engraved in the center as well as the couples first names and year of marriage. If the last name is 6 letters of less, see our other listing with the last name contained within the circle.